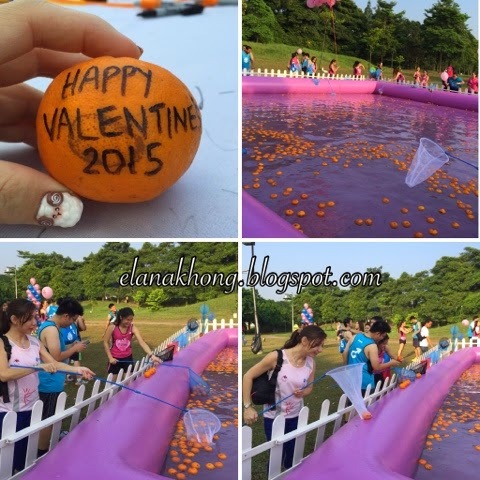 This year Valentine's Day is truly special as I spend my early morning at The Score Cupid Dash Run 2015. This is a 3.5km fun run open to all Malaysians aged 16 and above held at the Kepong Metropolitan Park on 14 February 2015, 7.00am. 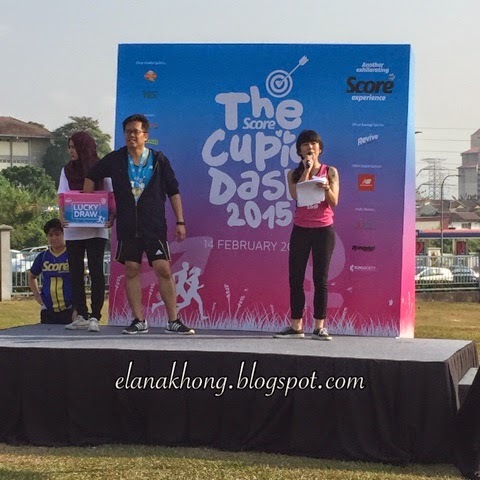 The Score Cupid Dash aims to encourages more Malaysians to take up running, as it will give participants surprises along the 3.5km route and allow them to have fun along the way. All runner came with their loved ones such as best friends, running buddies, spouses, partners, parents or children ready for the fun run. Group pic with Kathy and Tommy! Instead of run, I'm busy posing for pic session with all the lovely decor. The singles can even try their luck in getting to know someone special! 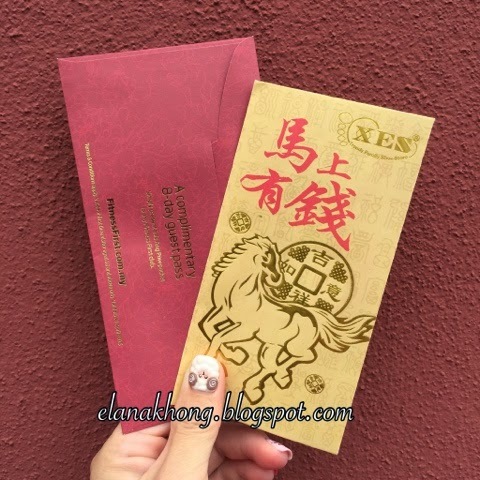 The run is ended with lucky draw session. 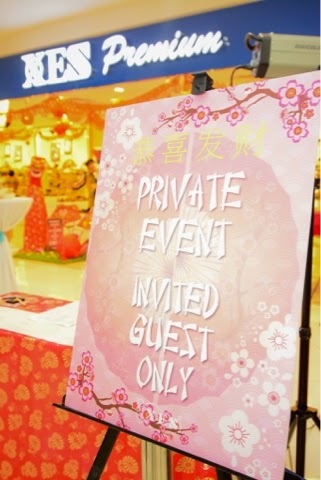 Thanks to Candle Pit Stop for the invitation to join this lovely event! Received flowers from the pretty Angels. How special is my Valentine's Day! Cherry Co is not just a bowl of cherries. Offering waxing services for face and body using specially imported wax from Australia, the best and least painful of its kind for the most tender and sensitive skin. 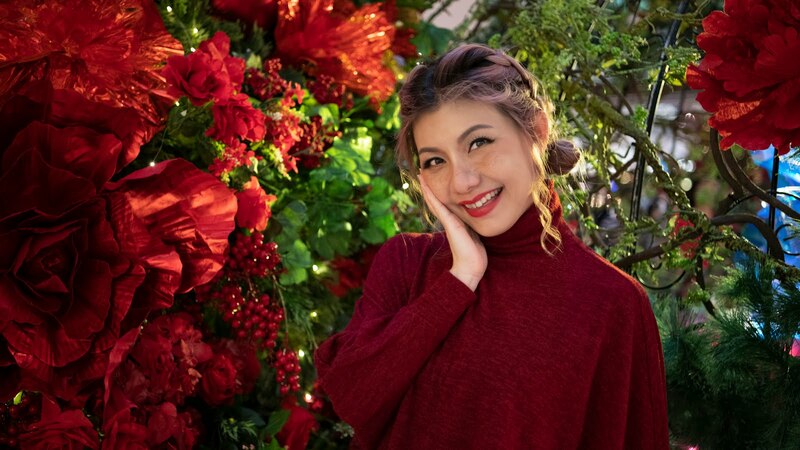 They are also the first wax outlet in Malaysia that offer Vajazzle, a playful and glamorous body art that decorates the more intimate areas of your body with gorgeous, safe crystals and diamonds. Whether it's cosmetic beauty or inner beauty, the details that bridge the two together are more concerned. Regardless which part of your body requires tender grooming, you'll be sure the dedicated team of ladies will attend to your need from tip to toe. 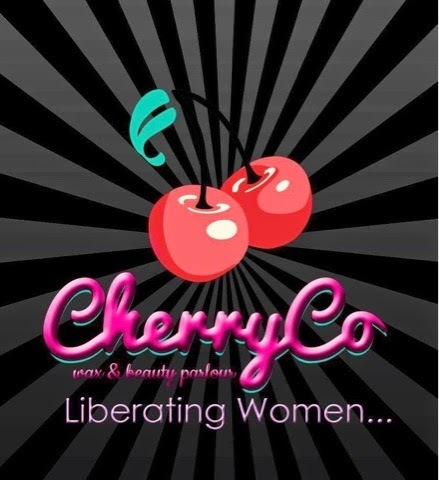 Whether you need to be baby bottom smooth or want some extra sparkle on your skin, CherryCo will make sure that you are ripe for the picking. Pop your Cherry with their signature Cherry Pop Wax if you are first timer, the best and right way to ultimate silky smooth ride. Be it on your legs, underarms, face or bikini line, finding an effective and efficient way to get rid of it isn't easy. Basically, waxing is an inexpensive and effective way to remove hair from most parts of the body. Compared to shaving, it leaves the treated areas smoother because it pulls the hair out from below top layer of skin. Girls just wanna have fun! Bling bling aint just for the visible parts of your body! Be seductive and accessories your vahjayjay with crystals and stones. Using fun, sophisticated or just plain cheeky designs chosen from the ready-made collections or let your creative instincts take over and design your own! Let's try Vajazzel for the sexier you from inside and out! This is God sent, perfect for the busy you. Make unwanted hair a thing of the past with IPL treatment. The permanent solutions for unwanted hair that fast, safe and uses the latest technology. 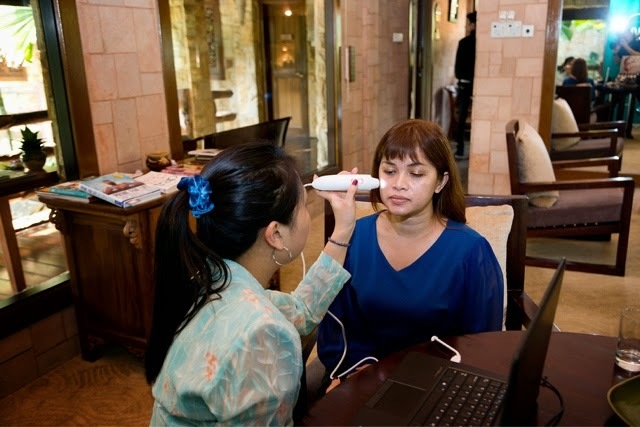 With laser facilitators that caring and highly experienced you'll find your needs attended. Thanks to the recent advances in holistic science, natural treatments to enhance breast can be done. CherryCo bust treatment promises an increase of half or 1 cup size in 3 months, without surgical intervention is definitely worth a try. Experience a specialized treatment to stimulate the circulatory and lymphatic systems, concentrating on problem areas of your body. Relax and enjoy the warm sensation of the mousses as your cellulite and fat cells start breaking down in full swing. A circulatory-boosting and refreshing time awaits you at CherryCo. I'm glad for given the chance to tried out Brazillian IPL and waxing. IPL - First, ice pack are placed near V area to numb it so that every light exposure does not burn the skin. Frankly, it is not very comfortable with the cold ice pack on such sensitive area. Right after treatment, cooling gel is applied. Wax - Small section are waxed bit by bit. The pain still bearable especially while treatment the friendly lady busy chit chat with me through the whole process. Will I ever return for follow up treatment? YES, as its feel great to be hairfree and clean down under. Do note, some parlour did not numb before IPL treatment just imagine the pain of it so be sure to check it out first! So what does liberation means to you? Being respected as a woman at work NOT feminist BUT feminine! Being confident and independent, gender shouldn't be a boundary! Hey, girls! Forget the BB, CC to DD and let's welcome the EE! Clinelle launched its 1st All-in-One Clinelle WhitenUp EE (Even Effect) Cream SPF 50 PA+++, a masterpiece that allies the best of skincare with the benefits of make-up. EE stand for Even Effect is the latest new generation tinted moisturizer that corrects and evens out every visible flaw, while addressing every skin concern. However for pigmentation coverage, concealer still required. The Clinelle EE cream gives a flawless result without looking heavy or cakey with it’s lightweight, smooth and non-greasy texture softens and supples the skin for an evened, fresh-faced complexion. 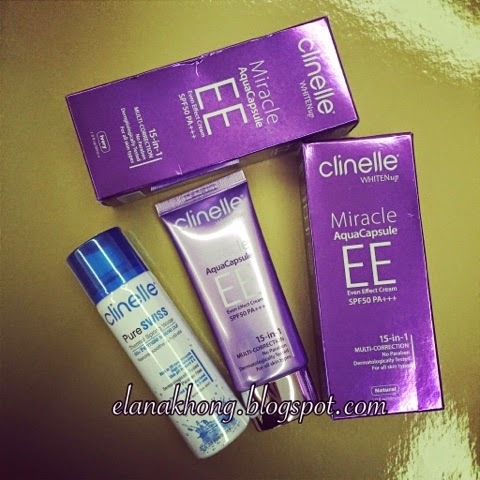 In keeping with all Clinelle Skincare products, this 15-in-1 Clinelle WhitenUp Even Effect EE Cream SPF 50PA+++ formulated and manufactured in Korea has been dermatologically tested for its tolerance and efficacy of the product has been proven and is paraben free which suitable for all skin types. Fundamentally, all Clinelle products work effectively through an integrated Envinix™ system to free skin from rapid environmental aggressions with RX3 Action, to Repair, Refine and Reshield skin for optimized skin health and clearly visible and long term results. Repair with Whitening & Anti-Aging Complex: Purple Rice Extract and Peptide are combine for visibly fairer and younger looking skin. Refine with Hydration System: Innovative micro-encapsulated Aqua Capsules and Hyaluronic Acid locks in moisture for all day hydration, leaving skin smooth and soft. Reshield with Skin Protection Complex: Powerful antioxidant Chamomile and Sea Buckthorn Extract boost skin defense, soothes and calms skin sensitivity. • Dab and blend evenly over cleansed and toned face as a daily moisturizer or as a make-up basis (last step of skin care regime). • For happy skin and face, follow with Clinelle Oil Free Smoothing Compact SPF18 and Clinelle PureSwiss Thermal Spring Water. 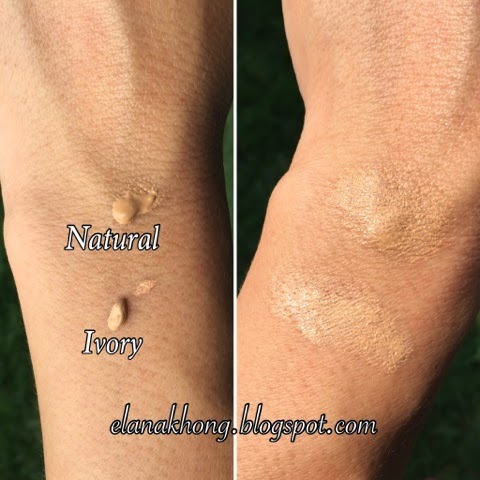 Even complexion with just one application. All smooth and flawless now with less obvious laughing lines too. THE NEXT GENERATION CLINELLE EE CREAM! Everyone selfie nowadays! But with such close-up of face presents a new set of issues, with close-up views of the hair, the eyes, the nose, the ears and of course, the complexion. 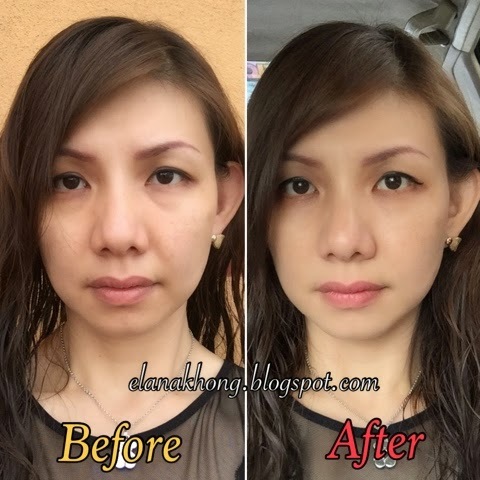 There are many things that can ruin that perfect Selfie – pimple scars, acne marks, fine lines etc. Clinelle WhitenUp Even Effect EE Cream SPF 50PA+++ evens out all flaws all set to make every person look Selfie ready without any touch up or filter needed! Step 3 – "Post" it on your Instagram and share it on your Facebook timeline and stand a chance to win a Samsung Galaxy Tab 3 Lite worth RM699 and Clinelle hampers total worth up to RM5000! 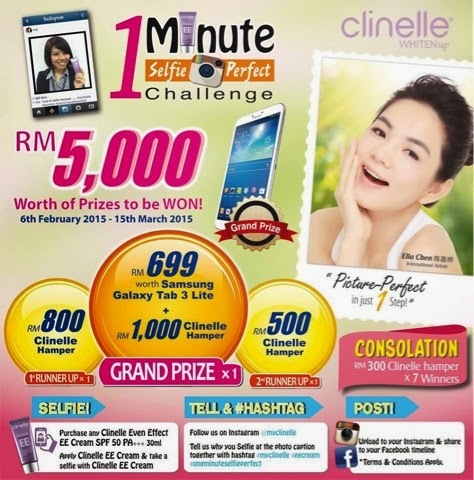 Ooh.... don't forget to pose with Clinelle EE cream 30g. No filter require anymore! *All selfie are without filter or edited except for the background. Pro : Great coverage with matte finish. With SPF 50 this is what I really needed! Con : Pricing slight expensive. Still require help of concealer for pigmentation skin. Clinelle WhitenUp Even Effect EE Cream SPF 50PA+++ RM65.90 (30ml) available at AEON Wellness, Caring, Guardian, Watsons & selected independent pharmacies nationwide. 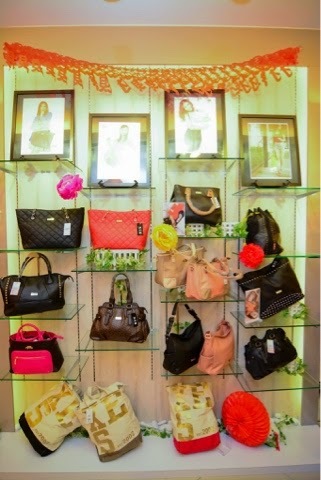 Join their facebook page now to keep abreast of Clinelle’s latest news and events. Acne? Worried not as Papulex™ has been clinically proven to be effective to combat acne. Skin specialists who recommended Papulex™ to their patients also observed tremendous improvement on their patient's skin condition when combined with their therapy. Powered by its unique triple action formulation, Papulex™ represents an innovative dermocosmetic skincare range that focus on improving skin's appearance, reduce breakouts and pimples while ensuring skin appears healthy and revitalised. 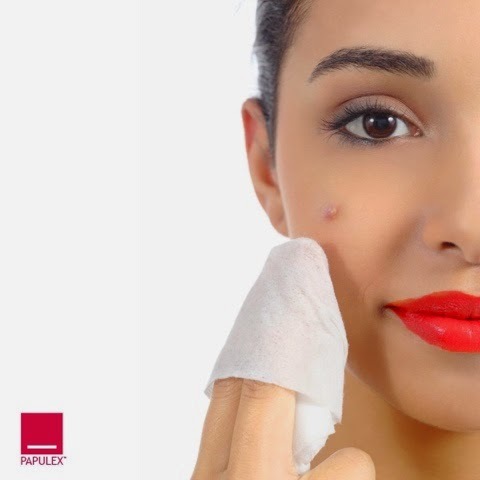 99% of acne sufferers noted improvement on their skin conditon with just 6 weeks of using Papulex™. Reduces Acne Causing Bacteria The ABA (Anti-Bacterial Adhesive substance) technology is EU patented and it is unique to Papulex™. The ABA works like a film-forming barrier system to reduce the adhesion of acne bacteria on skin, at the same time prevents the proliferation of P.acnes bacteria. Studies have shown that only 3% ABA is needed to reduce the adhesion of acne bacteria to human corneocytes by 82% in only 3 days! 2. Nicotinamide - Controls Inflammation and Calms Breakout Early management of acne inflammation may minimize the risk of acne marks and scars. The power of Nicotinamide lies in its ability to control acne-induced inflammation. Nicotinamide/Niacinamide is a natural molecule derived from Vitamin B3. It is very well known in Europe as an acne management ingredient. Studies have shown that Nicotinamide not only has the ability to reduce inflamed lesions, it also decreases acne severity. Nonetheless, it does not subject to the risk of bacterial resistance when used over time. 3. Zinc PCA - Reduces Skin Oiliness and Shine Zinc is a well-known ingredient used in reducing sebum production activity. In Papulex™ range of products, to increase the efficacy and tolerability, zinc is a combined with L-PCA (a natural physiologic molecule present in the organism and found in large concentrations (12%)in the stratum corneum). The presence of Zinc PCA in Papulex™ products functions to regulate the sebum production of skin, thus control skin oiliness and shine. At the same time, it does not cause skin dryness. In offering its consumers comprehensive solution to skincare and acne management, Papulex™ has recently introduced its anti-blemish skincare for localized spots on face and other small areas which is fragrance free and paraben free. It promotes the disappearance of blemishes, suitable for day and night use. Light and fast absorbtion into skin. A soap-free formula cleanser that is gentle on skin. It removes oil, dirt and impurities from skin, at the same time helps to fight skin imperfections. Papulex™ gel cleanser helps to reduce the appearance of blemishes while keeping the skin feeling smooth and fresh. It is ideal for daily acne care even for sensitive skin. With Papulex's unique triple action formula, Oil Free Cream works effectively to help reduce skin blemishes and skin imperfections. It also contains mattifying agents that can regulate the sebum production on skin and reduce skin oiliness and shine. Oil Free Cream does not block pores and can be used for day and night. It's fragrance free and it does not contain exfoliating agents which tends to irritate skin. Ideal for application on hairy areas, this lotion helps to reduce the appearance of blemishes on larger body areas like the back or upper chest. It absorbs easily into the skin and does not bleach clothes. It is also safe to be applied on the face. Papulex™ Lotion is fragrance free and paraben free. Papulex™ is now available at local and leading pharmacies, as well as selected clinics nationwide. Priced at RM52.80, the Papulex™ Gel comes in a 40ml tube. 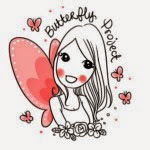 Hey, my beloved readers! It's lovey dovey month of the year. Yet what do I end up with in the month of FEBRUARY? 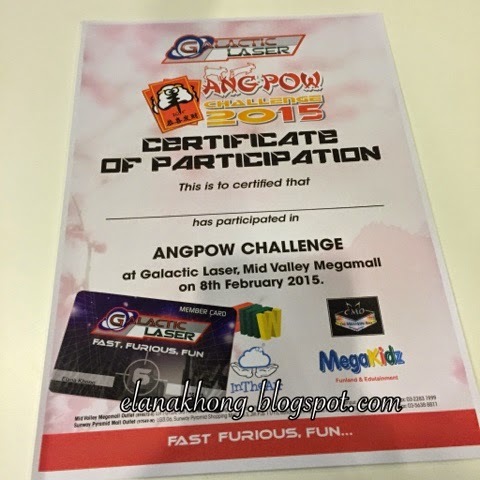 Thanks to Tommy invitation I've joined the "Ang Pow Challenge" by Galactic Laser. Yes, it's those shooting games which at first I'm reluctant to join. Frankly, the most violent game ever I've played would be the PS Street Fighter. Never like shooting games and I'm so pissed off with those addicted to Counter Strike. Hahaha.... Anyway, I thought it's a good chance to try it out so why not give it a go. 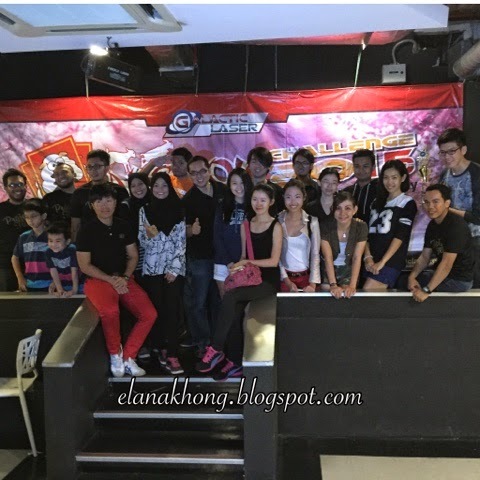 Galactic Laser established in June 2010 is actually the pioneer in introducing the latest generation of laser tag game technology to Malaysia. 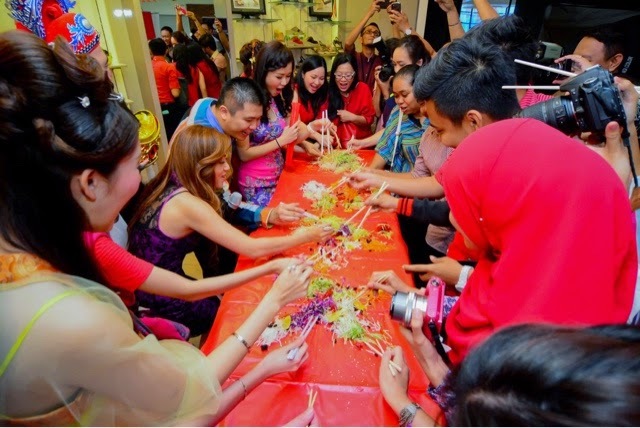 Bringing in new concept of entertainment, incorporating the latest in laser and electronic gaming technology, complemented by contemporary team building activities, corporate and family parties as well providing food and beverages within the premises. All the participant of Ang Pow Challenge. Laser tag is a team or individual sport where players attempt to score points by engaging targets, typically with a hand-held infrared-emitting targeting device. Infrared-sensitive targets are commonly worn by each player and are sometimes integrated within the arena in which the game is played. Individual team.... Let's fight against each other. Me and Ivy ready to shoot them down. The actual transmitting element of almost all laser tag gear is an infra-red Light Emitting Diode similar to those used in household remote controls. Go go go.... Green team! Laser tag is similar to paintball, airsoft and other simulation-shooting or targeting sports, but diverges in its reliance on a computerized control system. 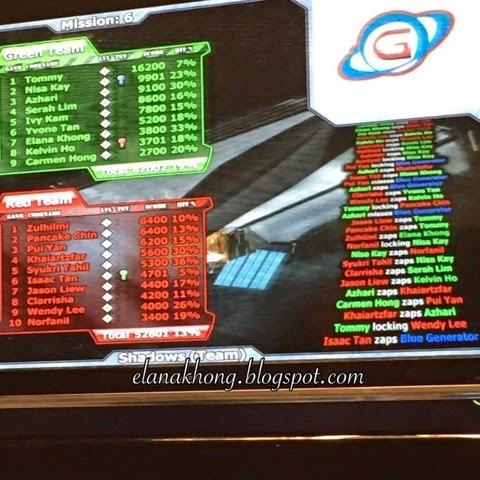 The computer system provides score tracking as well as enforcing some rules of engagement – such as an enforced period when a player is unable to shoot after being hit by another player, or discounting all friendly fire. Congrats to the winner of Ang Pow Challenge. Go try it out if you yet to, totally good experience of adrenaline rush. Lucky Malaysian that more brand is being introduced into our country. 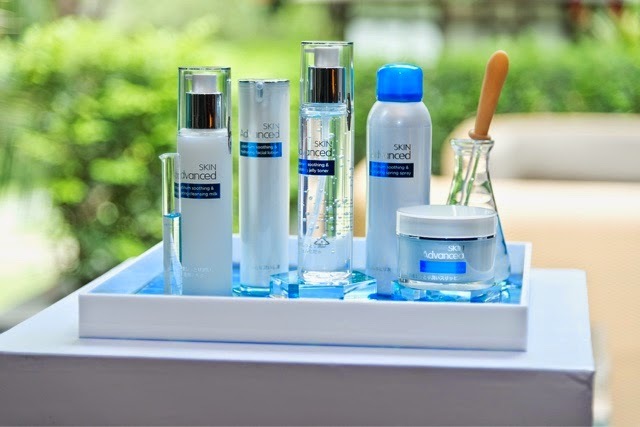 Watson's Malaysia is proud to bring in the all-new revolutionary Derma skincare, Skin Advanced skincare range that caters to sensitive skin users recently at the plush Cyberview Lodge Resort & Spa. Developed by cosmetics experts Dr. Tadahiro Shimada from Japan, using the "6+ 6-" Skin Advanced process to counterbalance the effects of today's busy cosmopolitan men and women, providing protection even for the most delicate skin. 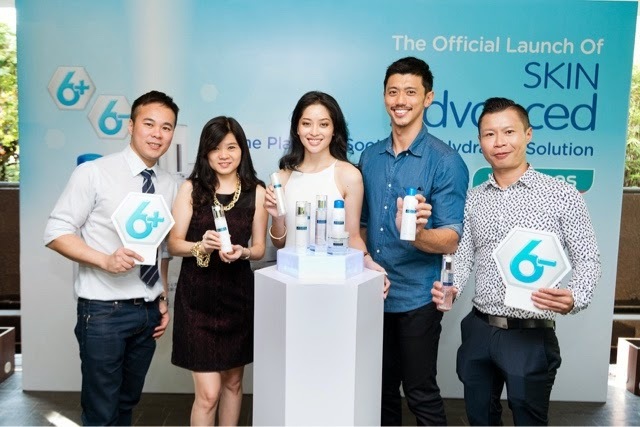 Sarah Lian & Hansen Lee with their favourite product of Skin Advanced. The "6+ 6-" adds 6 vital skin-friendly natural ingredients while subtracting 6 common artificial additives and preservatives, making it the optimal solution for sensitive skin. Skin Advanced products are infused with 6+ 6- that improves skin's hydration level and rejuvenates skin elasticity, fights against environmental damage and enhance the skin's antioxidant properties. 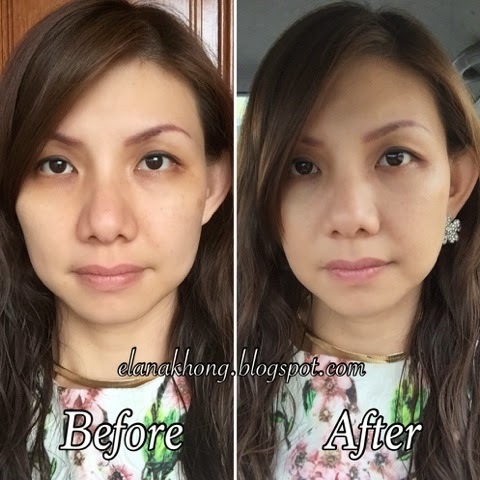 We had our skin analysis before facial treatment and I find out my skin is sensitive type too! 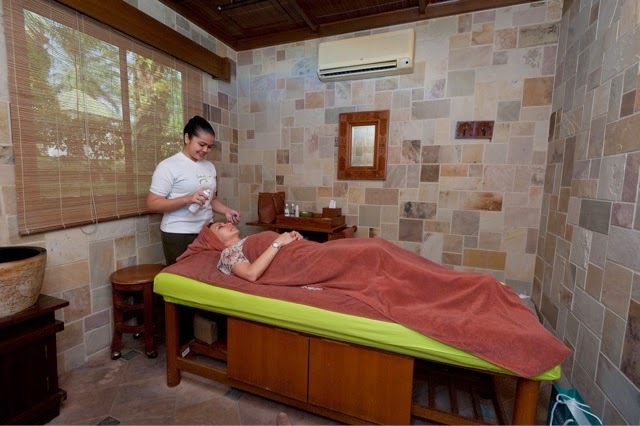 Pampering facial treatment using Skin Advanced full range products at Sembunyi Spa. There's even make up session after our facial treatment. Looking pretty courtesy of the MUA. Ending this with my #ootd at the beautiful corridor of Sembunyi Spa. The Skin Advanced range of products are available at selected Watsons stores now. Happy Chinese New Year!!! 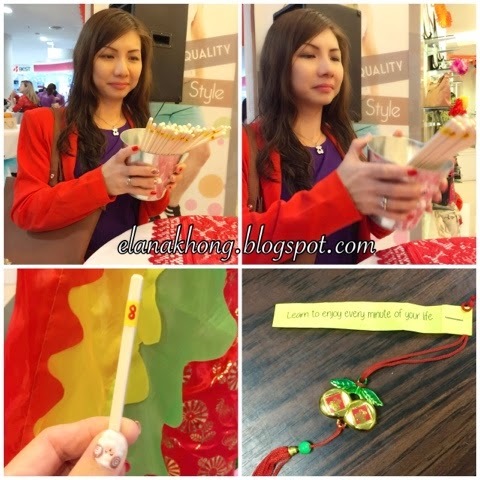 Attended XES Shoes, Chinese New Year celebration in Quill City Mall recently. The celebration kick off with the auspicious XES initial Lou Sang, wishing for abundant luck and happiness. We are so lucky to be treated to a makeover session sponsored by Sense & Style Beauty Academy. Demo of 10min hair style you could DIY at home! Best of all, we could have our dolled up looks photo taken with A4 print out as memories. This photo of mine will be in the running for XES Chinese New Year Facebook Contest "BE STYLISH WITH XES"
Woo hoo.... 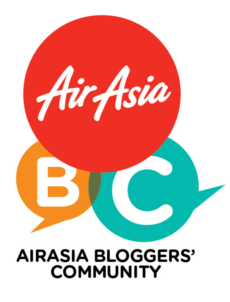 I am excited to be in the running of walking away with RM888.00 CASH, Rm1,388.00 worth of products and RM1,888.00 worth of products will be given away to the lucky 10 fans as a Reward Gift for support. As the year of Goat arrives, XES wishes everyone peace, luck & joy.